New York, Aug 16, 2016 (Global Fashion Wire) - Excelsior Capital Ventures (ECV) LLC, announced today that it will be making substantial liquidity available to the mid-stream diamond and jewelry industry. The New York based firm, founded by industry leader Nehal Modi, said it expects to begin lending operations on October 3, 2016 and will provide loans secured by diamond and precious metal inventories. In making the announcement, Mr. Modi said the firm is entering the market at a crucial time. "We are in an environment where the diamond and jewelry industry is experiencing a significant contraction in lending. There is a dire need for new capital and greater liquidity in order to expand the companies and industry at large." It is estimated there is a $6 billion shortfall in market liquidity and it is Excelsior's intention to close the gap by at least $1.5 billion in total loans by 2019. Mr. Modi said that ECV's business model encompasses secure asset management, risk-mitigated logistics, spot market appraisals, asset monetization and assisted marketing solutions for customers' inventory. A key development since ECV began establishing its infrastructure and operations in 2015, is its ability to fund select consignment programs at approved major retailers. 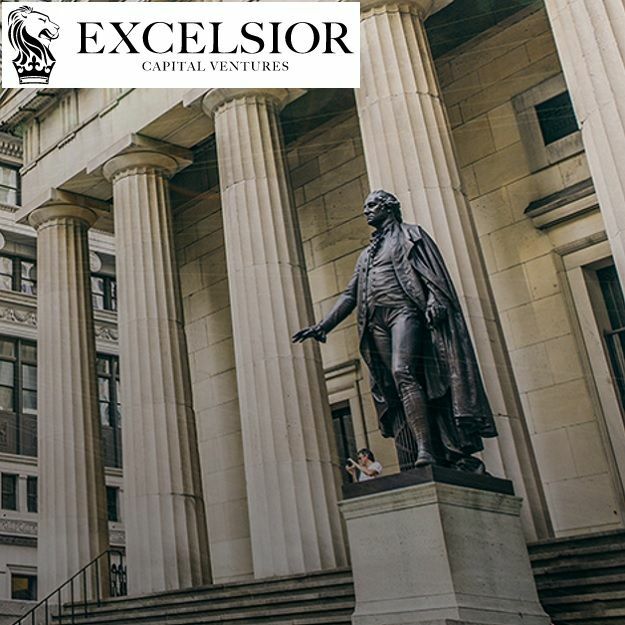 Excelsior, which will be providing loans of up to $20 million per borrower, is working with industry stakeholders to implement its solution to the liquidity crisis. Jon Mitchell, Chief Operating Officer of ECV, said that the firm is in discussions with all the major diamond banks. "We are working diligently to determine how we can co-lend with them on a client-by-client basis. We are also meeting with prospective borrowers daily to better understand their capital needs and to ensure that we are fully equipped to service them. Either way, we are demonstrating our long term commitment to the industry by pledging a large pool of capital." Mr. Mitchell noted that Excelsior has engaged White Pine Trading LLC, as its infrastructure, logistics, and distribution services partner for ECV borrowers. White Pine CEO Benjamin Burne commented, "Collectively with Excelsior, we have reconsidered the needs of industry borrowers and developed comprehensive solutions that address the critical issues companies are facing today." Michael O'Hara, CEO of leading diamond and jewelry investment bank Consensus and ECV's investment banking firm, said that Excelsior's business model has so much to offer and will be well received by the industry. "The vehicle Excelsior created has attracted significant interest from major sources of capital that recognize the need for liquidity in the jewelry industry but who have historically had structural concerns about lending to the asset class. Excelsior's model is both unique and innovative and will remove the sector's historical barriers to capital deployment." Excelsior Capital Ventures, LLC is a New York based finance company that exclusively caters to the diamond and jewelry industry. Founded in 2015 by trade veterans Nehal Modi, Jon Mitchell, and David Barr, the company endeavors to provide working capital loans to midstream borrowers, as well as a host of value added services to enhance clients' businesses. www.excelsiorcv.com, inquiries@excelsiorcv.com. Established in 2010, with an aim to revolutionize the diamond industry's use of recycled product, White Pine Trading LLC is one of the world's leading recycled diamond and jewelry companies. The Company buys and sells certified diamonds, parceled diamonds, fine jewelry and watches through a variety of distribution channels, including monthly auctions of parceled diamonds at global diamond centers, just-in-time delivery of certified stones and road delivery of jewelry and watch products. The Company's experts also offer a range of consulting and appraisal services to financial services companies and the jewelry industry. Today, White Pine Trading holds offices in New York, Birmingham (UK) and Tokyo. To learn more visit www.whitepinediamonds.com. Consensus Advisors is a boutique investment banking and financial advisory firm based in Boston, New York, Dallas and London. Consensus focuses exclusively on the retail and consumer products industries. Consensus professionals have decades of relevant industry experience representing and advising companies, entrepreneurs, investors, creditors and lenders in financial and brand equity transactions. To help companies at every stage of development, we have extensive relationships with multiple resources, including: commercial banks, private equity, family offices, venture capital and hedge funds, factors, investors in distressed assets, and real property and equipment lessors. www.consensusadvisors.com. Marston Webb International is a highly respected pioneer in the field of International Investor Relations and Public Relations. Throughout its three decades of operation, Marston Webb has represented the London Stock Exchange (AIM), Bahamas' Financial Secretariat, Toronto Stock Exchange, Madrid Stock Exchange, Prague Stock Exchange, Bermuda's Ministry of Finance as well as several UN Economic Missions. As the registered IR agency for various exchanges throughout the world, Marston Webb has built a substantial database of high net worth corporations and emerging companies (CEO's, CFO's, COO's and Chairman).